Learn to do what artists love to do__Create! Since 2013 Devi has been under the tutelage of master artists at Studio Incamminati and has been involved in bringing their IN YOUR TOWN workshops to MOCA at Va. Beach with these same artists who studied under Nelson Shanks. She now incorporates what she learns each year to her students. 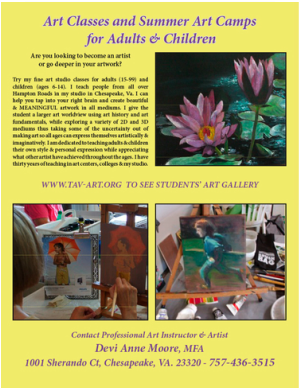 Are you looking for a way for you or your child to go deeper into the fine arts? Are you interested in learning to make art? 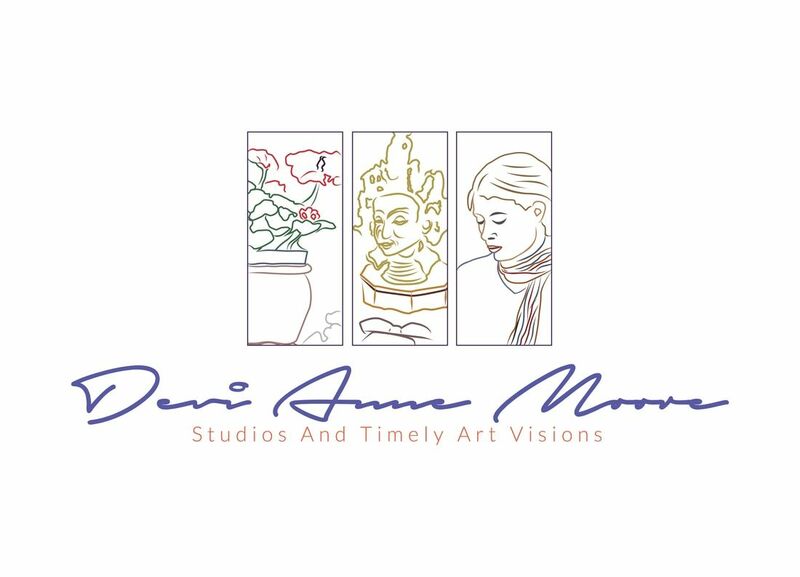 Then try one of the upcoming classes being offered in Hampton Roads by Devi Anne Moore (The Art Whisperer). Devi can help nurture your creativity and teach you to produce beautiful artwork in all mediums. She has helped many young students get into the Governors Magnet School of Arts in Norfolk, VA as well as collegiate programs. 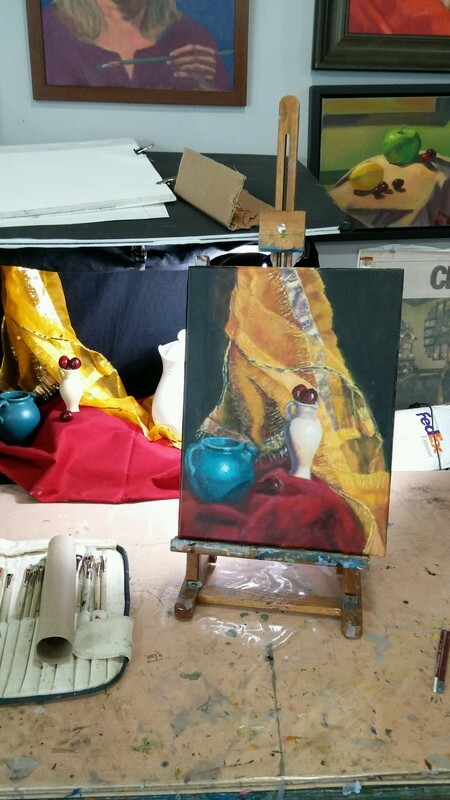 Her classes are intimate and will enlarge your art worldview through art history and art fundamentals. You will explore a variety of 2D and 3D mediums which will take the uncertainty out of making art to enable you to express yourself artistically and imaginatively. The teaching methods utilized go beyond that of the traditional classroom to help you reach the full potential of your creative right brain. You and/or your children will find your own style and personal expression while appreciating what other artists have achieved throughout the ages. She will advise what materials to buy and help you find your perfect medium. She is knowledgeable about anatomy and form as well as technique and mediums and helps you work form life or photographs. The Art Whisperer's Fine Art Studio is located in Chesapeake, VA and provides separate classes and workshops for adults(15-99) and children(7-15). Also available are on-going weekly A.M. and P.M. adult art classes, an all day 9-4 Saturday Class as well as workshops for adults except for workshops obligated by the month only. children learn how to interpret and draw and paint from photos.